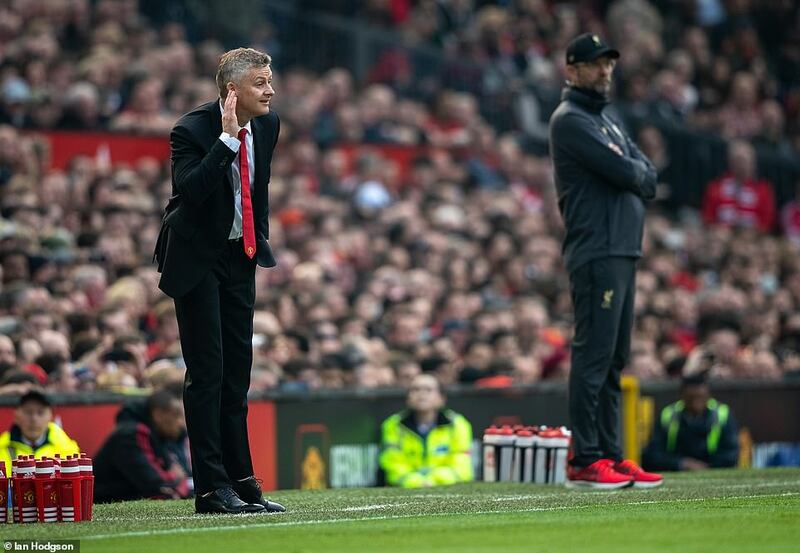 Jurgen Klopp’s side climbed above Manchester City into pole position, but left Old Trafford frustrated that they failed to go three points clear after struggling to break down a United team hit by three key injuries. 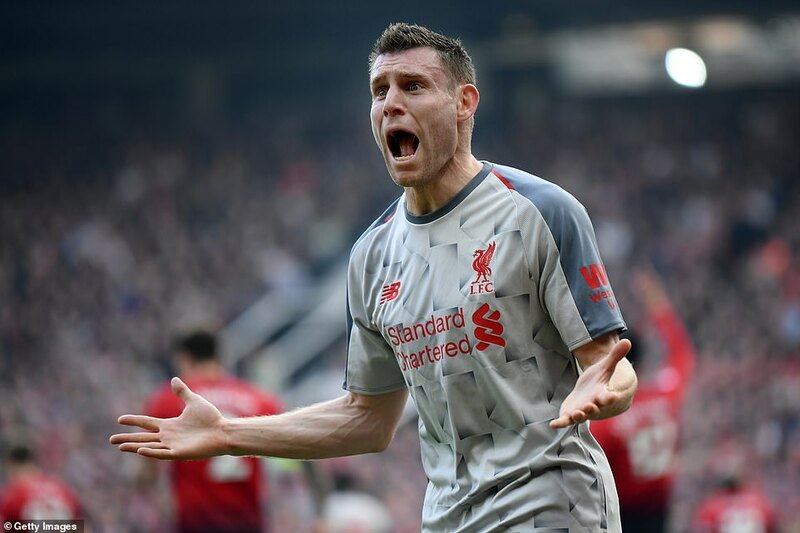 Liverpool, chasing a first English title since 1990, had few chances to beat their bitter rivals despite United losing Juan Mata, Ander Herrera and Jesse Lingard before the interval. The Reds, who had just one shot on target, now have 11 league games remaining, the same number as second-placed City, who were in League Cup final action against Chelsea on Sunday. It was a missed opportunity for Liverpool, who used up their game in hand on City and lost Brazilian striker Roberto Firmino to injury. Liverpool’s third draw in four games comes in a period in which they have dropped six points in the battle with Pep Guardiola’s champions. United dropped to fifth place as a result of Arsenal’s win over Southampton. The pre-match build-up, and intense atmosphere certainly did not disappoint. 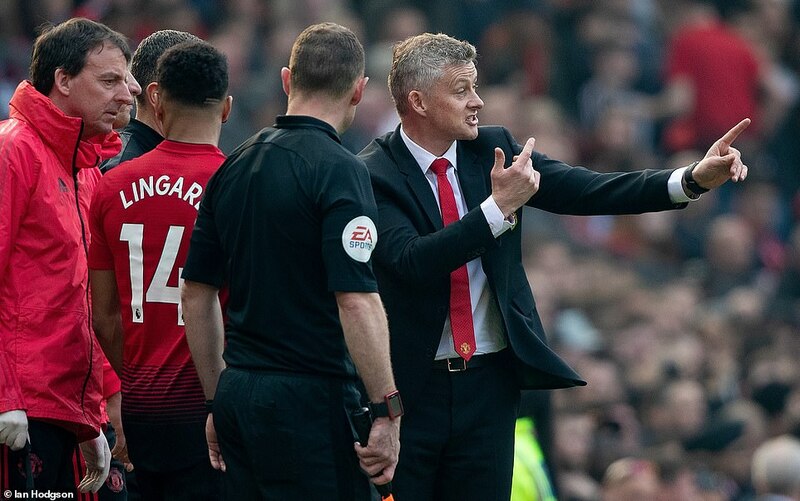 But, once the action started, it became more about the four substitutions – three for United, one for Liverpool – that were forced on the respective managers over the first 45 minutes. Indeed, by the interval, there had been twice as many substitutions as shots on target – the game’s first such effort being a tame Marcus Rashford attempt which he chipped up for an easy Alisson Becker catch. United midfielder Herrera was the first to go, having injured himself in the process of fouling Joel Matip on the edge of the home area. 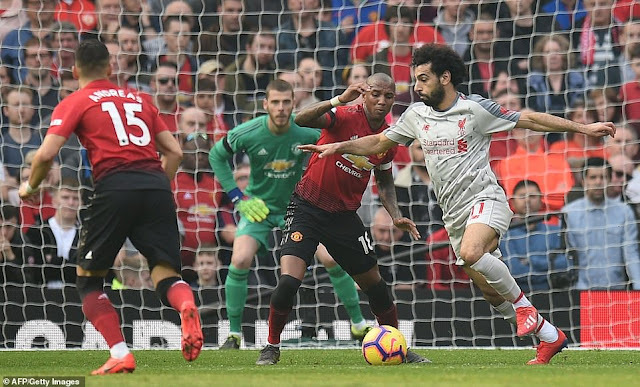 Mohamed Salah succeeded only in lofting that free-kick over the home goal although, by the 20 minute mark, Herrera was unable to continue and replaced by Andreas Pereira. Mata was next, four minutes later, paying the price for an heroic challenge on Salah on the edge of his own area and limping off to be substituted by Lingard. And Liverpool were not spared disruption of their own when Firmino twisted his right ankle while making a routine pass and was forced off. The fitness problems would not end there. Lingard, who had been nursing an injured hamstring, would only last only 18 minutes before coming off three minutes before the interval with what appeared to be a recurrence of the problem. To add insult to injury, Lingard was replaced having hurt himself in missing the best chance of the first period following a sublime through ball from Romelu Lukaku that split the Liverpool defence. 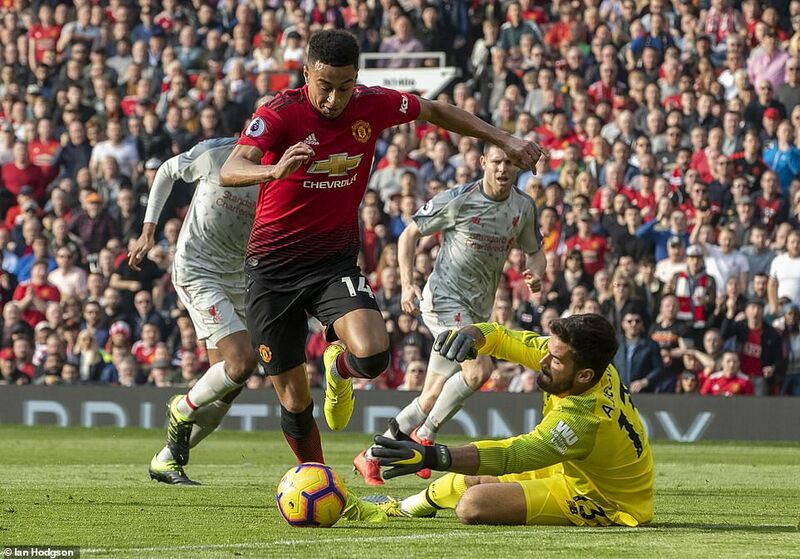 Lingard chased through on goal but, with only Alisson to beat, was denied by a brave save from the Brazilian keeper, stumbling and re-injuring himself in the process. It was an amazing turn of events although United ended the half strongly, with Lukaku tussling with Andrew Robertson before managing to send a weak header goalwards for Alisson to collect. Ashley Young’s second-half free-kick picked out an unmarked Pogba who headed straight at Alisson, although his blushes were spared by a linesman flagging him for offside. Young’s long through ball also almost played in Rashford although, while it was United’s best spell of the game, Liverpool were bound to respond. They eventually did even though Georginio Wijnaldum’s wild shot over from the edge of the area was no threat. Wijnaldum also headed wide, from a James Milner corner, as Liverpool sought the goal they sorely needed to bolster their title ambitions. 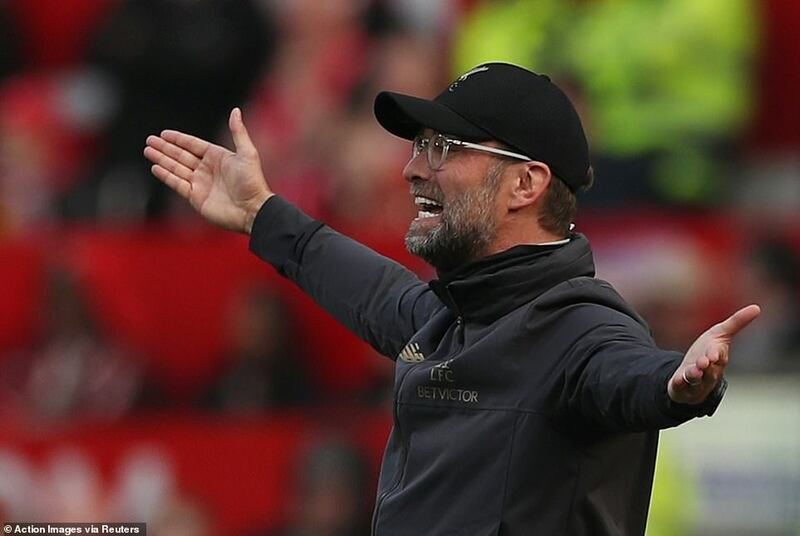 Liverpool finally put the ball into the net, albeit their own on 75 minutes, when Matip turned a Chris Smalling cross into his own goal, only for an early offside flag to rule it out. But Smalling may have missed the best chance of the game, in the first minute of injury-time, when he checked his run and narrowly missed turning in a Lukaku cross at the far post.